a) Gene x environment interactions that are conducive to eating-disorder development; Genetic and epigenetic influences upon eating-disorder course. c) Eating-disorder prevention through population level efforts to alter attitudes towards thinness and body image. The only organized base of clinical-research expertise on the EDs in the Province of Quebec, the Eating Disorders Program has been influential through its work on constitution–environment interactions that play in ED development. Current work emphasizes the effects of environmental exposures (developmental traumata, stressors, nutritional deficits) upon DNA methylation, and the prospective course of changes in DNA methylation coincident qwith nutritional rehabilitation in Anorexia Nervosa. St-Hilaire, A., Steiger, H., Aihua, L., Laplante, D., Thaler, L., Magilll, T., King, S. (2015). A prospective study of effects of prenatal maternal stress upon later eating-disorder manifestations in affected offspring: Preliminary indications based on the Project Ice Storm cohort. International Journal of Eating Disorders. Steiger, H., Coelho, J., Thaler, L., & Van den Eynde, F. (2015). Eating Disorders. In P. Blaney, R. Krueger, & T. Millon. Oxford Textbook of Psychopathology, 3rd edition. New York: Oxford University Press. Groleau, P., Joober, R., Israel, M., Zeramdini, N., DeGuzman, R., & Steiger, H. (2014). Methylation of the dopamine D2 receptor (DRD2) gene promoter in women with a bulimia-spectrum disorder: Associations with borderline personality disorder and exposure to childhood abuse. Journal of Psychiatric Research, 48, 121-127. Strober, M., Peris, T., & Steiger, H. (2014). The plasticity of development: How knowledge of epigenetics may advance understanding of eating disorders. International Journal of Eating Disorders, 47, 696-704. Steiger, H., Labonté, B., Groleau, P., Turecki, G., & Israel, M. (2013). Methylation of the glucocorticoid receptor gene promoter in bulimic women: Associations with borderline personality disorder, suicidality and exposure to childhood abuse. International Journal of Eating Disorders, 46, 246-255.  Howard Steiger has been Director of the Eating Disorders Program (EDP) of the Douglas University Institute in Mental Health for the past 25 years, the only large-scale, specialized, clinical-research-teaching program focused on eating disorders in the Province of Quebec. The EDP offers a full range of Inpatient, Day Hospital/Day Program and Outpatient treatments. Steiger is an active clinician, researcher, and teacher, Full Professor in the Psychiatry Department at McGill University, Associate Member in Psychology at McGill, and Co-President of the Quebec Government’s committee to develop a “Charter for a Healthy and Diversified Body Image”. He is a past President of the Eating Disorders Research Society, Associate Editor of the International Journal of Eating Disorders and Executive-Committee member of the Academy for Eating Disorders. Steiger and colleagues have recently been studying a) Genetic and epigenetic influences upon ED development and course. b) System-wide efforts to transfer specialized knowledge on EDs to 1st and 2nd line services and to alter attitudes towards thinness at a population level.